Alleged Brussels museum killer was 'sadistic' Syria jailer - SABC News - Breaking news, special reports, world, business, sport coverage of all South African current events. Africa's news leader. 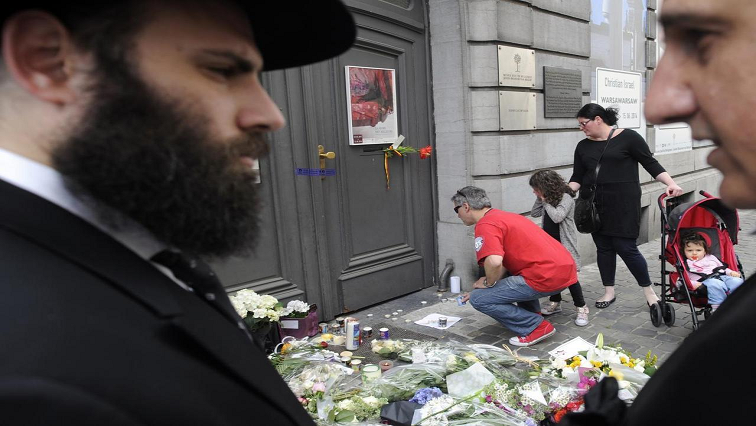 Mehdi Nemmouche faces life in prison if convicted of four anti-Semitic murders in the Belgian capital on May 24, 2014. Two French journalists on Thursday told a terrorism trial in Brussels that they had “no doubt” the accused Jewish museum killer is the man who imprisoned and tortured them in Syria. The former hostages came to Brussels to testify against Mehdi Nemmouche, who faces life in prison if convicted of four anti-Semitic murders in the Belgian capital on May 24, 2014. Nemmouche, a 33-year-old Frenchman, smiled several times as he looked at the journalists during their testimony. “I have absolutely no doubt about the fact that Mehdi Nemmouche, who is present here, was my jailer and torturer in Syria under the name of Abu Omar,” former hostage Nicolas Henin told the trial. Henin described Nemmouche as a “sadistic, playful and narcissistic” man. He said Nemmouche expressed “admiration” for Mohammed Merah in the year after he shot dead a teacher and three children at a Jewish school in the French city of Toulouse in 2012. Merah, a self-described Al-Qaeda sympathiser, also shot dead three French soldiers nearby three days earlier. Journalist Didier Francois also said he “had no doubt” Nemmouche was the man who held him hostage. “I came for three things; to say that we know him, how dangerous this person is and the risk he will repeat the crimes,” the 58-year-old Francois told the court. Francois and Henin as well as fellow French reporters Edouard Elias and Pierre Torres were kidnapped in June 2013 and held hostage by the Islamic State group (IS) in the northern Syrian city of Aleppo until April 2014. Elias and Torres were not present Thursday, though they have also been listed as witnesses in the case. Francois alleged that Nemmouche abused him, including hitting him with a club 40 times, while he was held at a hospital turned prison in Aleppo. He added that the violence and “torture” meted out allegedly by Nemmouche mainly targeted Syrians and Iraqis also held there. The prosecution and Jewish groups asked the journalists to give testimony against Nemmouche, who had been in Syria between January 2013 and February 2014. Michele Hirsch, the lawyer for the Jewish groups, said their testimony was “extremely important” to show the judges and jury what motivated the alleged gunman. It will also show how much his “idol” Merah influenced him, Hirsch added. Nemmouche’s lawyers said the journalists’ testimony amounts to a “stunt” and a “trial within a trial” because their kidnapping is the subject of separate proceedings in France. Investigators said Nemmouche attacked the museum shortly after returning from Syria, where he had allegedly fought on behalf of jihadist groups. He allegedly killed an Israeli married couple, a young Belgian employee and a French volunteer. The trial is due to end in late February or early March. Some observers and lawyers hope the trial may yield more detail about Nemmouche’s alleged links with other jihadists. Henin told the court on Thursday that he also recognised among his jailers “Abu Idriss,” the alias of the Belgian-Moroccan Najim Laachraoui. Investigators say Laachraoui made the bombs for the 13 November 2015, attacks that killed 130 people in Paris and wounded hundreds of others. Laachraoui was one of the bombers who blew themselves up at Brussels airport and a city metro train on March 22, 2016, killing 32 people and wounding hundreds of others. IS claimed responsibility for both attacks. This entry was posted on 07 Feb 2019,04:43PM at 4:43 PM and is filed under World. You can follow any responses to this entry through the RSS 2.0 feed. Both comments and pings are currently closed.